On the weekend, Steph was trying to talk about the Otamotone, but couldn’t remember its name. So she googled “Greensleeves descent into hell” and found exactly the video she was looking for. 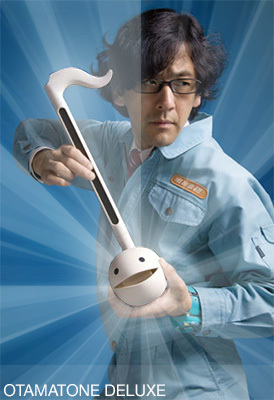 The hero of the Otamatone is Nobumichi Tosa, who truly loves the Otamatone, and wants you to, as well. 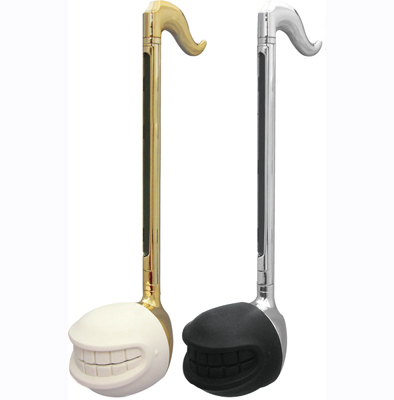 The otamatone is a “singing toy”, but to call it that undermines the pure devilry of the instrument. It’s like koalas mating. It’s like the descent into the underworld. Wiki says it’s like a theremin, jīnghú or synthesiser, and that description is doing those actual legitimate instruments a disservice. The otamatone is the official instrument of the No Award Staff Writers; but not, we hasten to point out, the official instrument of No Award.